The Ancient Egyptians were quite fond of mummification, and not only of humans. In fact, far, far more animals were ritually preserved than people. Cats were revered and thus were regular targets. The process supposedly allowed the beloved pets to travel to the afterlife with their masters. Felines were also sacrificed and preserved as religious offerings, often to the cat-like goddess Bastet. Archaeologists unearthed so many cat mummies that by the end of the 19th century more than 19 metric tons worth were shipped to England for use as fertilizer. An African Sacred Ibis in the Mida Creek mud flats, Kenya. Another animal, the ibis, was mummified on an even greater scale. Over four million of the distinct birds were buried at the catacombs of Tune el-Gebel alone! Half a million more have been unearthed at Saqqara, the great necropolis for the Ancient Egyptian capital Memphis. The finds understandably excited 19th century archaeologists, but they also fascinated naturalists. After all, here was a bounty of 2,000 to 3,000-year-old exquisitely preserved specimens to study! But out of the research erupted controversy. As Australian scientists Caitlin Curtis, Craig D. Millar, and David M. Lambert recently recounted in PLoS Biology, the mummified birds sparked what may have been the first true debate about evolution. The learned dispute pitted two giants of biology against one another. French naturalist Georges Cuvier, who is sometimes called the "founding father of paleontology," faced off against Jean-Baptiste Lamarck, best remembered for his now disproved theory of inheritance of acquired characteristics. However, in the "Sacred Ibis debate," Lamarck was on the correct side of history. As Curtis, Millar, and Lambert described, Cuvier espoused the notion of the "fixity of species" or the idea that each species is based on an ideal form that cannot change over time. After examining numerous mummified ibises in the very early 1800s and comparing them to modern counterparts, he concluded that no detectable anatomical changes had occurred since the birds were originally preserved over 2,000 years prior. This, Cuvier argued, was evidence that species do not evolve. Lamarck vehemently disagreed. At the time, he contended that species slowly "transmuted" from simple to complex. These changes, he added, occurred via adaptation to the environment and were imperceptible over short time scales. Thus, he refuted Cuvier by insisting that not enough time had passed to observe evolutionary processes in the ibises because the environmental conditions in Egypt had hardly changed. The two quarreled off and on over the mummified birds for decades, with Cuvier winning over most of their contemporaries. Curtis, Millar, and Lambert estimate that Cuvier set back the acceptance of evolutionary theory in Europe for decades. The tide would only turn with the publication of Charles Darwin's seminal work On the Origin of Species in 1859, which put forth the theory of evolution by natural selection. 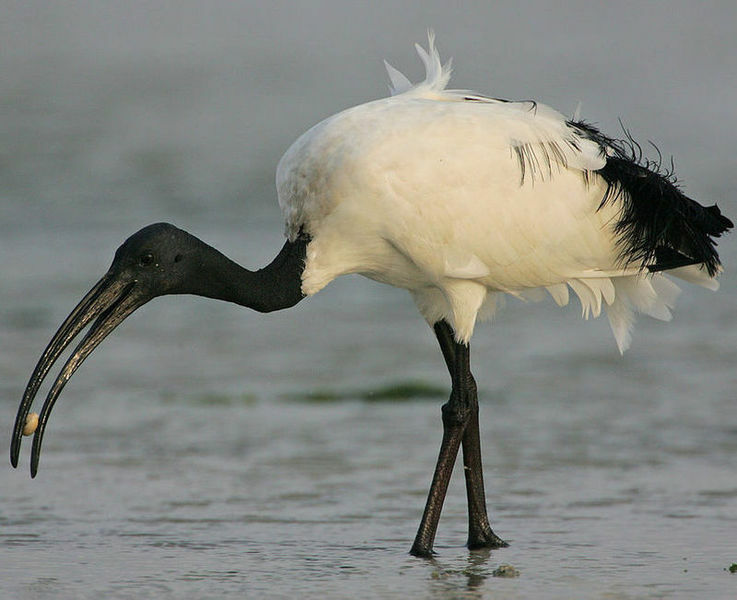 "The debate about the Sacred Ibis is an important but often unrecognized episode in the history of science," the authors insist. "Of great importance is the reminder, even today, of the power of a strong personality and that the belief in “what they know to be true” can dramatically influence the direction of science and public opinion."